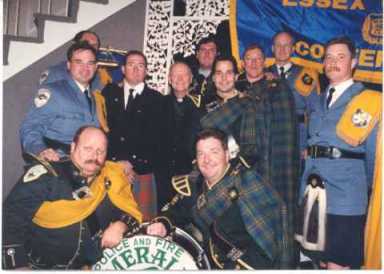 Jack McGarry joined the band as a piper in 19?? 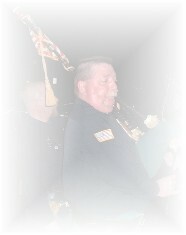 and served as Pipe Major for 3 terms. Jack is a retired Detective Sgt. from East Orange Police Dept. He is also one of the most photographed. Jack has had the opportunity to play for some important VIP's over the years. 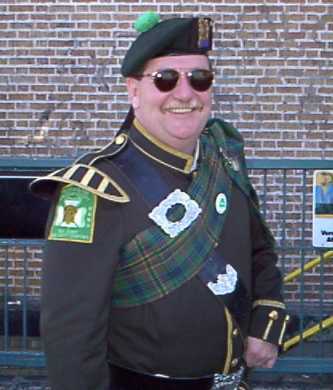 In 2006 Jack was the Grand Marshal of the West Orange Parade. For the 2006 West Orange Parade photo Gallery click HERE! 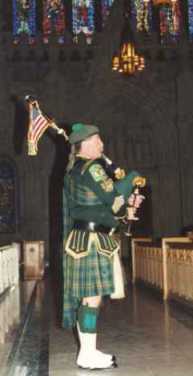 Solo at Blue Mass, 1995. 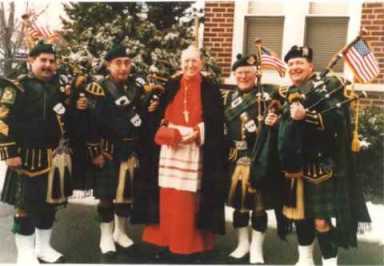 John Practhauser, Ed Gorman, Cardinal O'Conner, Joe McConville and Jack. Tour Guide in Scotland 1998.